Watch Olympic gold medalist Beezie Madden demonstrate a series of exercises to help riders regain control immediately after landing from a fence. This video is brought to you by NetJets. Many riders focus on gaining control approaching a fence, but in today's competitions--with their tight time requirements, small venues, and highly technical courses--it's also important to gain control quickly after a jump. 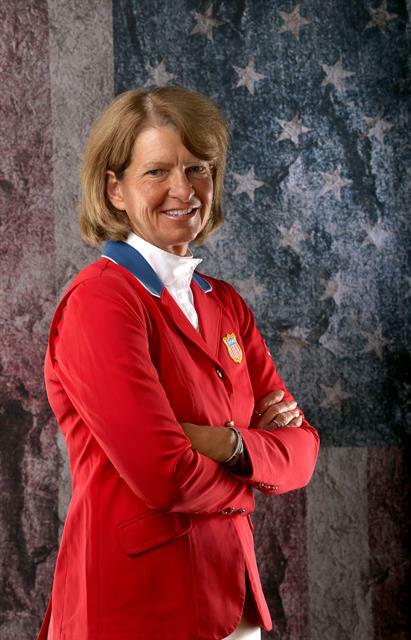 As two-time Olympic gold medalist Beezie Madden puts it, "The landing from one fence is already the approach to another fence." For more information about show jumping, visit the United States Hunter Jumper Association and US Equestrian's jumping page. Madden recommends working with your trainer to try these exercises. This video is brought to you by NetJets. Madden also won the 2013 FEI World Cup Finals™ in Gothenberg, Sweden, on Abigail Wexner’s Simon, who went on to be named that year’s USEF International Horse of the Year. Madden and her husband John operate John Madden Sales in Cazenovia, N.Y. Follow Madden on Twitter, Facebook, and Instagram.